Other number 102-2 Photo No. 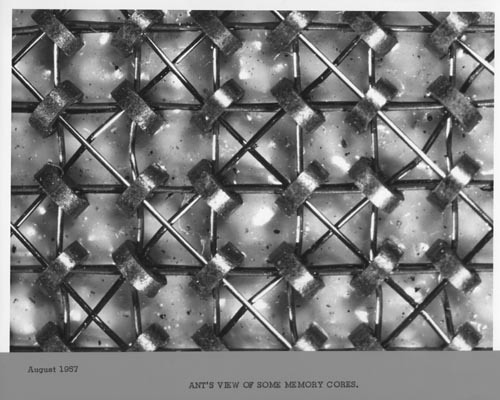 B&W image of a partial view of memory core plane. Recto bottom: "Ant's view of some memory cores "